Sebastián Vargas has a fetish for tiny things. 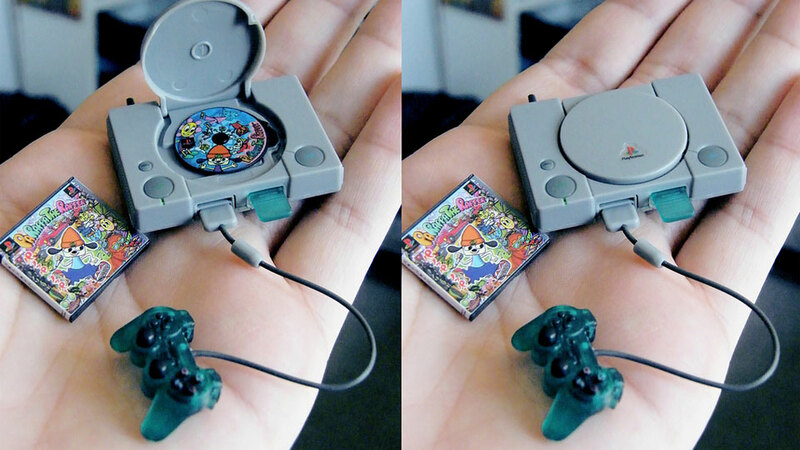 Tiny PlayStations, tiny Game Boys,you name it, if it's a tiny video game console, he's got it. These are Japanese gashapon pieces, all of them for old consoles and handhelds, all photographed wonderfully by Vargas. If you like tiny things as much as he does, check out his Flickr. There are tiny things everywhere. Total Recall is a look back at the history of video games through their characters, franchises, developers and trends. You'll find Total Recall stories every Mon-Fri between 11pm and Midnight ET. That is awesome! If all of these were keychains and for sale, they'd be a hit! Inb4 Martin complains that it's too obvious to guess what it is in this 'Remember This" LOL what a fool. Further - you still don't get the joke. Why are you attacking me for a joke made by neo- kaiser that you failed to understand? Poor, poor, naive Martin. You're almost as bad as that Chazz guy who raged when someone spoilt Gears of War 3. Does any one have a link of troll face waving his arms in the air while his monitor is on fire? Because that is exactly what is happening here. You can't fool me, that's a real playstation in the hand of a colossus. "Sebastián Vargas has a fetish for tiny things." I have me one of those too. But does it play Crysis?